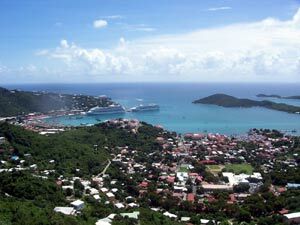 The city is named after Charlotte Amalie of Hesse-Cassel (1650-1714), queen consort to King Christian V of Denmark. It is famous as a deep-water harbor that was once a haven for pirates and is now a famed cruise ship port of call, with about 1.5 million cruise ship passengers landing there in 2004. Charlotte Amalie has many buildings of historical importance and is home to the second-oldest synagogue in the Western Hemisphere.